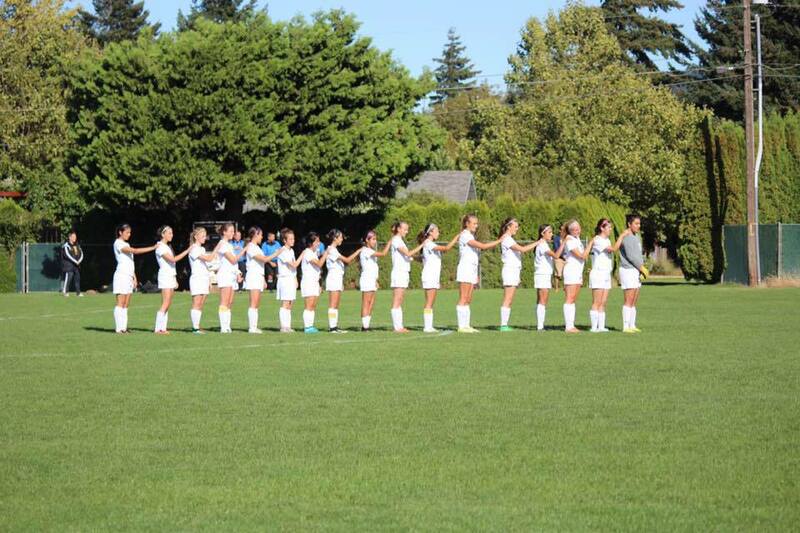 Today, Hood River Valley Eagles Girls Soccer will face up against Pendleton. The game will kick off at four o’clock on the westside varsity field. This game marks the beginning of the league play. So far the girls have played eight tough preseason matches against teams from all over. During the next six games the girls will play only teams from the Columbia River Conference. These teams include Hermiston, Pendleton, and The Dalles. The team has had three wins, one tie, and four losses, but this will be the first time they have played teams from this conference. In the past, HRV has dominated the conference, they hope for a repeat performance, and with this they will advance into playoffs beginning on November third. After the team lost in a tough battle against Summit (5A), in the after game huddle, senior Jenissa Ramirez said, ” I am standing here knowing that we lost, but not feeling like it.” This is a continued theme as the team continues to improve and learn from their previous losses. If you’re looking to support your Eagles there are a number of home games coming up. Tonight, kick off at four pm, they face off with Pendleton at Westside Elementary. Next Thursday, same time, same place the Eagles will play The Dalles River Hawks, and on October 21st at Henderson Stadium your HRV girls will play the Hermiston Bulldogs.